Summer time means hot weather and the all important cool treats! While there is nothing wrong with an occasional ice cream, we thought we’d pull together our favourite homemade options to make this treat more ‘daily’ than ‘occasional’! As a child, I remember a family trip to Disneyland and other than the teacup ride (which I loved! ), one of my fondest memories of Disneyland was the choc-dipped frozen bananas available at the stalls throughout the park. 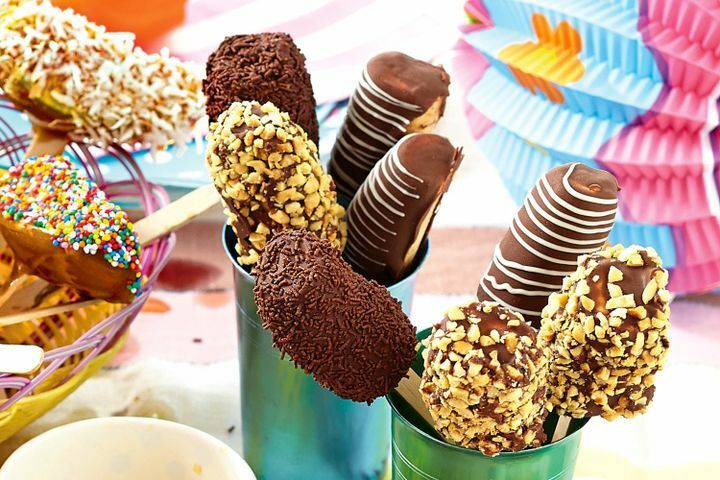 When we came home from that trip, I remember that for several years, we would always have a supply of homemade choc-dipped frozen bananas in the freezer over Summer time. Here is an easy and yummy recipe to get you started. You can put nuts, sprinkles, or anything you like really on the banana… mmm yumm! Yoghurt and ice creams/icy poles in tubes are a real hit with kids. They’re usually just the right size to cool them down and are far less messy than in a cone. The problem with so many of them though is how much sugar goes into them. These are one of the easiest things to make (and in big batches no less) so that you always have a spare when you have a house full of play dates! 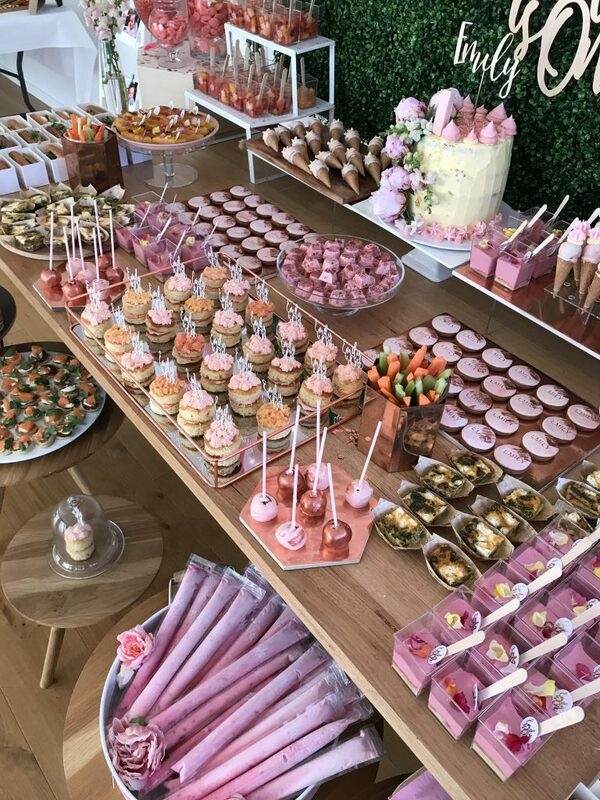 I recently attended a party catered by the wonderful Karyn from Peekaboo Parties who had made these delicious treats for a one year old party. Safe to say that there were not many left! Just looking at these gorgeous treats makes me want the next hot day to come along!! Many of the fruits in season over summer are refreshing and super sweet on their own, without any sugar added. One of my favourite bits about this one is the little choc chip “pips” in the watermelon popsicles! Makes them look like a watermelon did back when we were kids (before they were all seedless!!). One of the first dishes I ever saw prepared at a thermomix demonstration was the fruity dream. 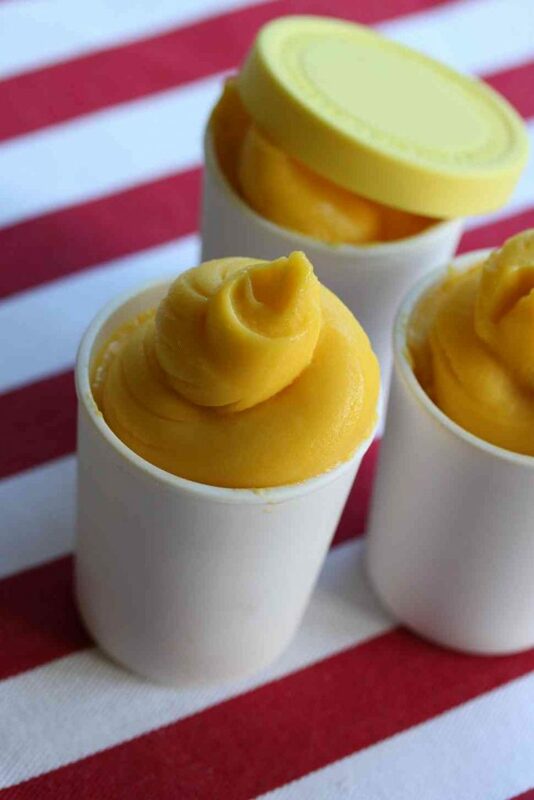 This delicious frozen treat is so simple and so delicious. 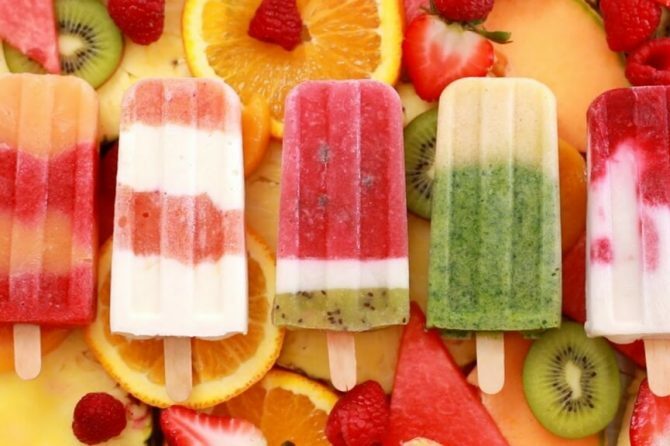 You can use any frozen fruit you like and can creat a delicious fruity treat. Some recipes include coconut milk or cream or regular cream for a creamy consistency but I personally think the 100% fruit options cannot be missed. 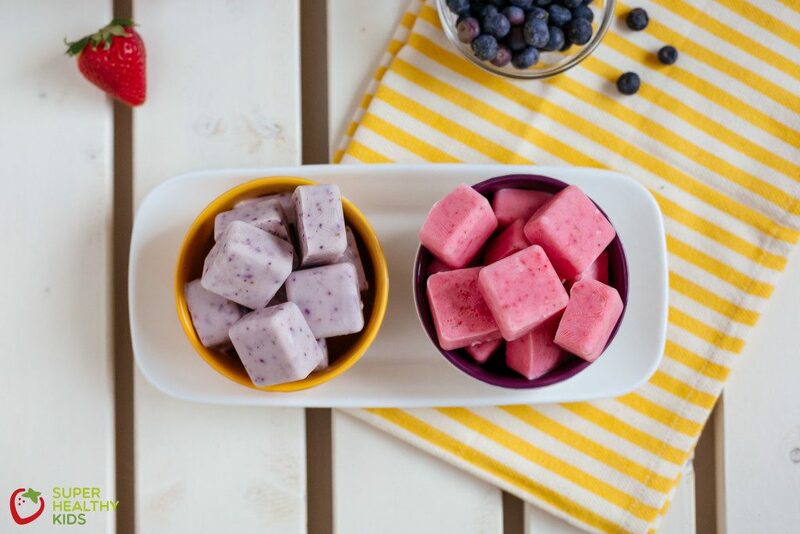 Here is something a bit different for a quick afternoon snack on a hot summer day – frozen fruit and yoghurt bites. You will need a flexible ice cube mould which will make it much easier to get these out come snack time. 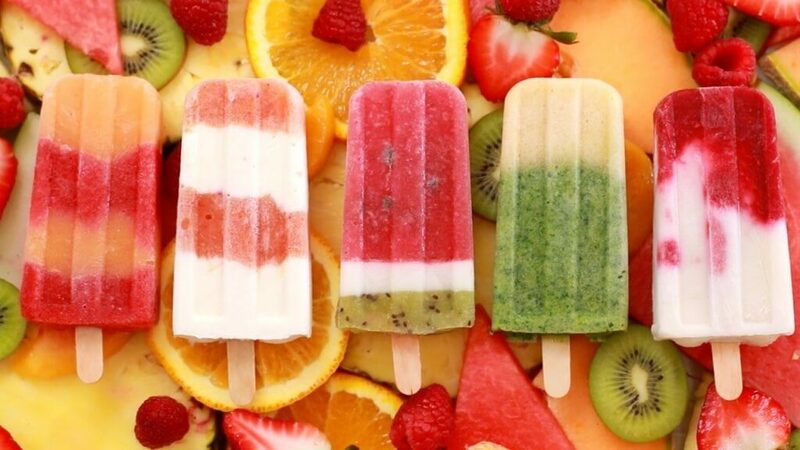 As with many of the other frozen treats, you can use any fruit you like for these. Enjoy! Thanks so much for your feedback – it’s always great to know that people are enjoying our content.